The British Columbia Treaty Commission is the independent and neutral body as "Keeper of the Process". They are responsible for facilitating treaty negotiations among the governments of Canada, BC, and BC First Nations. The Treaty Commission does not negotiate treaties.  The Federal Treaty Negotiations Office (FTNO) represents the government of Canada and its federal departments and agencies in negotiations. FTNO is a department withing Aboriginal Affairs and Northern Development Canada (AANDC). The Ministry of Aboriginal Relations and Reconciliation (MARR) represents the province of British Columbia in negotiating treaties and other agreements with First Nations to create economic certainty over Crown land and resources. The First Nations Summit (FNS) is comprised of a majority of First Nations and Tribal Councils in BC and provides a forum for First Nations in British Columbia to address issues related to Treaty negotiations as well as other issues of common concern. The summits mandate is to represent the interests of First Nations actively negotiating treaties. The FNS does not negotiate treaties on behalf of First Nations, but supports the Nations negotiations.